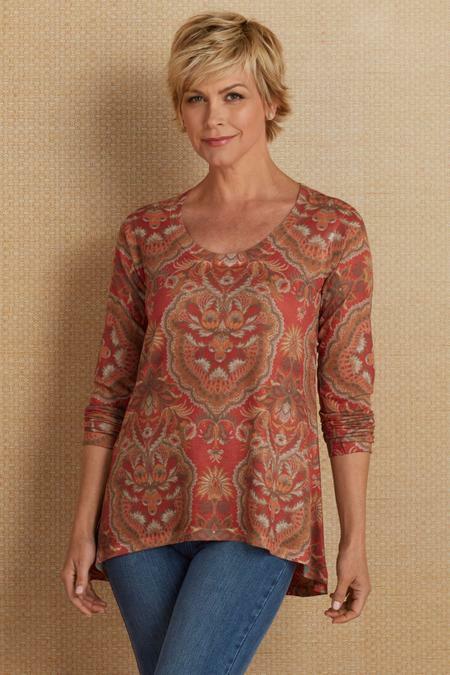 Our Spice Market Top features a beautifully detailed medallion pattern that has the charm of a vintage tapestry. Cut of stretch sweater knit, this scoop neck top has long fitted sleeves and a high-low hemline. Poly/spandex. Misses 27"/29" long.